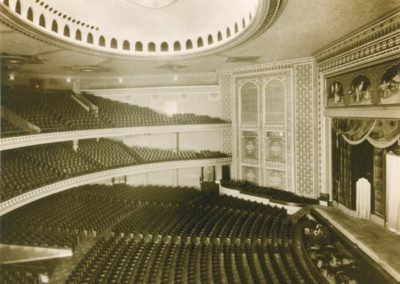 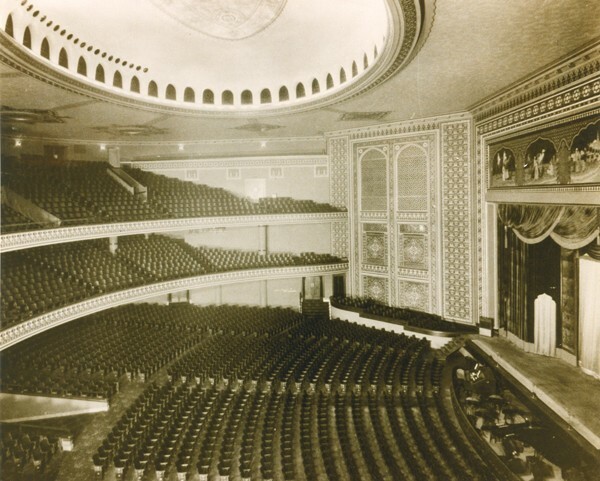 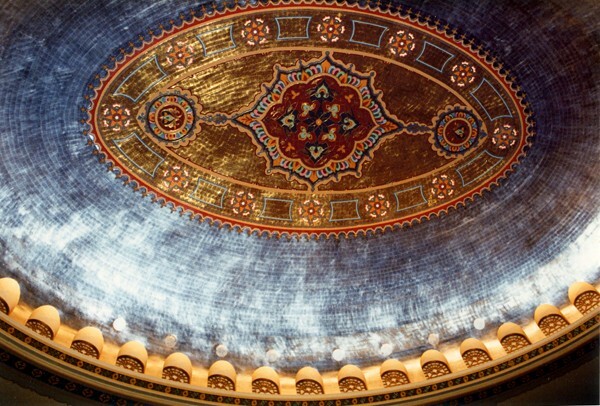 The opulent, Moorish-styled Mosque Auditorium in Richmond, Virginia, was restored by Conrad Schmitt Studios to its original lavishly appointed decoration. 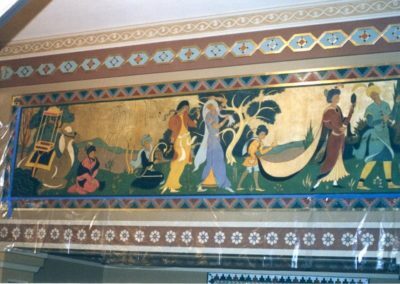 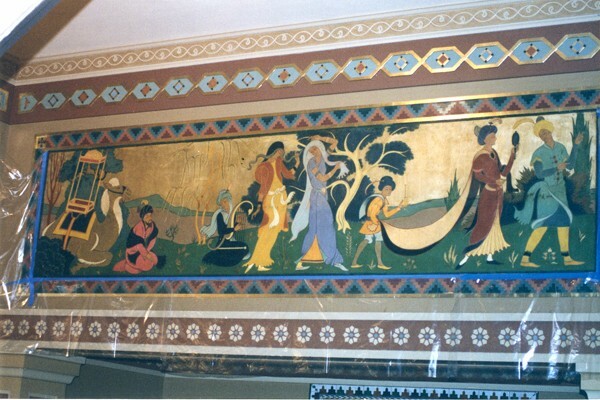 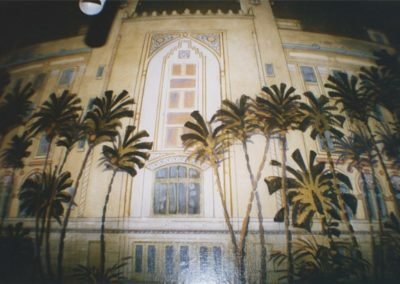 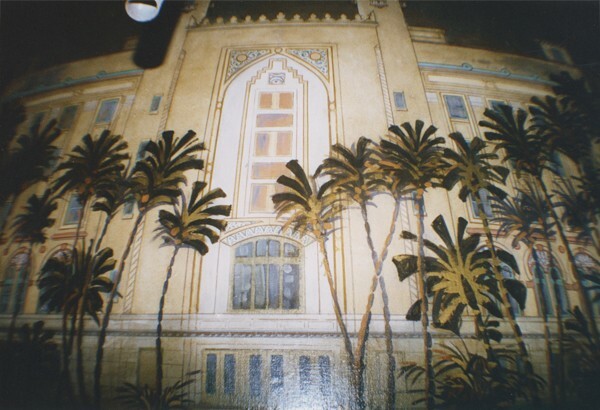 The restoration included conservation of the murals located throughout the auditorium and the Grand Tier Lobby. 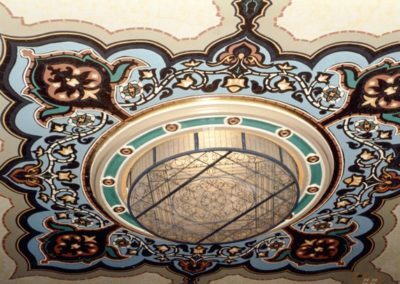 The Studios’ scope of work also included the investigation and documentation of original finishes, the execution of decorative samples and photographic documentation. 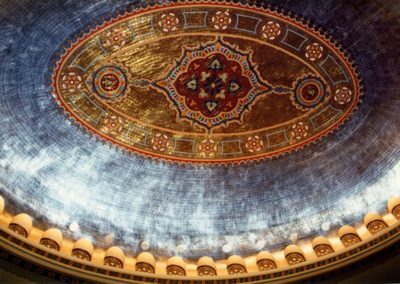 Over 35 million square inches of aluminum leaf and 75 thousand square inches of gold leaf grace the surfaces in the dome alone.